The promoter of the Paradise City casino resort (pictured) at Incheon, South Korea, says the second stage of phase one featuring new non-gaming facilities, will open on September 21, marking an aggregate investment so far of nearly KRW1.6 trillion (US$1.39 billion) in the project. The promoter Paradise SegaSammy Co Ltd, is a joint venture between South Korean casino operator Paradise Co Ltd and Japan’s Sega Sammy Holdings Inc. The new amenities include a shopping mall, a boutique hotel, a spa, a club, a film studio, a family entertainment compound and an art gallery. 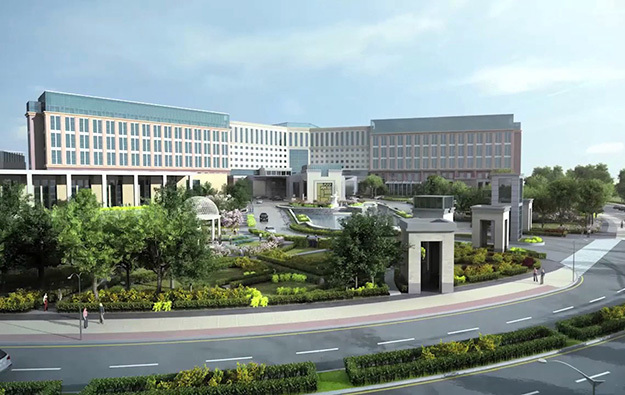 The second stage of phase one adds 110,000 square metres (1.18 million sq feet)of floor space comprised of the 58-room Art Paradiso hotel, a premium spa named Cimer, a club branded Chroma, an art gallery known as Paradise Art Space, a shopping mall named Plaza, a film studio with the moniker Studio Paradise, and a family entertainment facility known as Wonderbox. Wonderbox will open on a later date. Paradise City was launched in April 2017 with a hotel, a casino open only to foreigners, and a convention hall under the theme of what the group calls “art-tainment,” – a combination of art and entertainment – with an infusion of Japanese-style hospitality. It reportedly received some 310,000 visitors in the first 100 days of operation. Of the KRW1.6-trillion phase-one investment, approximately KRW331.9 billion comes from Sega Sammy Holdings, the latter said in a September 7 press release.